Can the USA get past the Germans tonight? 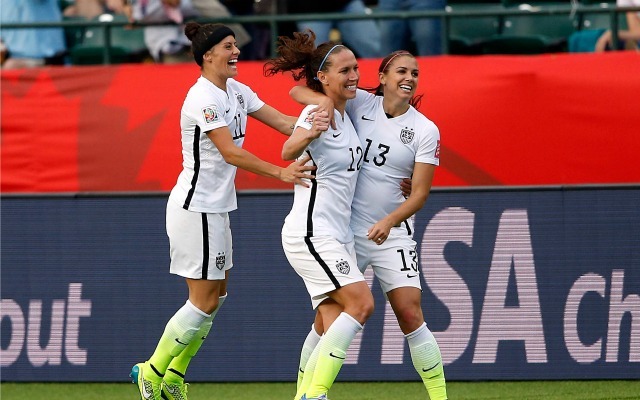 2) What’s Jill Ellis line-up going to look like tonight? 2) We differ on this but here’s some last minute voting advice. 4) Son of a catcher! 3) Way to go JP! 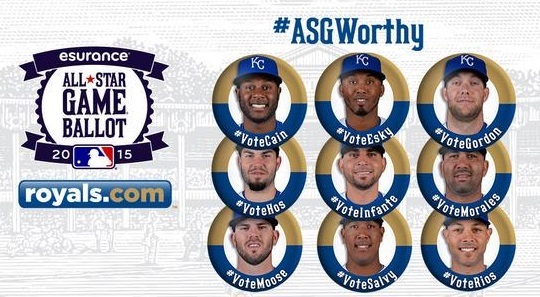 It’s All-Star Game voting update Monday! 3. Who had the best draft? 4. Who do you like in each semifinal? 4. Another tweak to the HR Derby! 2. How many trades will we see? 4. Will there be any player movement prior? 3. Speaking of expansion what about the Big XII looking for two more? 1. Will any of the proposed deals happen? 2. Which player goes first 24 hours before? 3. Who wins what at the NHL awards? 4. Any surprises for the draft this weekend? 3. Can Vanderbilt bounce back from a game two defeat and defeat Virginia in a game three a second straight year? 2. Rematch next June on the hardwood? The USA moved onto the quarterfinal against China after defeating Columbia 2-0 last night. 2) Sacramento looking to make a trade? 3) Oh no analytics are showing up in hockey! Most of the US Open talk wasn’t about the golf. 1. NBA Draft on Thursday? 2. Who goes number one? 4. Who goes gets picked second? 4. Which team do you see winning?